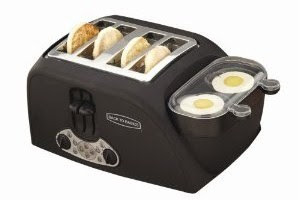 Egg & Muffin Toaster: $38.42 w/ Free Shipping! Make a Breakfast Sandwich in 4 Minutes! 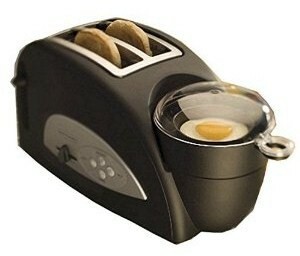 This is the first time I've seen an egg and muffin toaster, but I think it's a great idea! This nifty appliance would make a great gift and has pretty good reviews! Right now you can get it on Amazon for just $34.00 with free shipping. This regularly costs $52.99! EDIT: I've had several readers tell me that they own this and they LOVE it! You can also get a 4-slot version for $70.79 with free shipping. This one regularly costs $90.99! Click here for more info on this version!